House is in the house (and look at my house!) - Stop staring and start sewing! 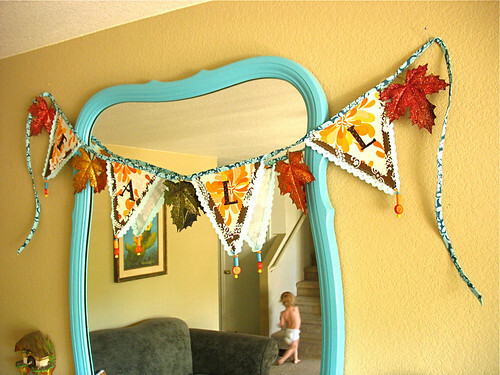 I've been doing some fall crafting and I'm so happy with the results! Look at my living room. It's so festive now! I've always wanted to make a garland and I joined the Ga-ga for Garlands flickr group a long time ago. I finally have something to share with the group. Here it is and it was fun! I even got to use my Dollar Tree beads. 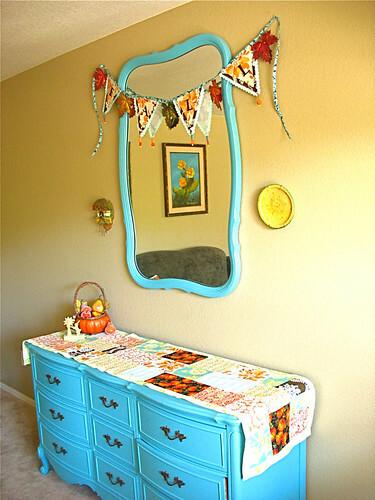 Look at little Mr. Droopy Drawers in the mirror! 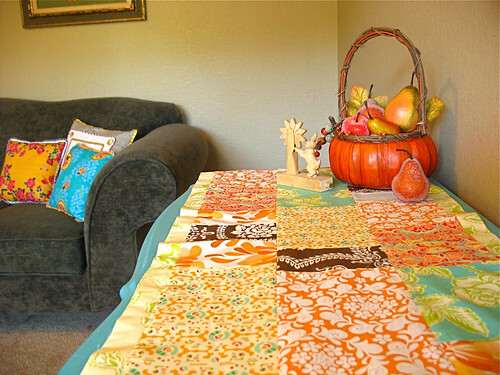 I was so taken with Laurie's pretty table runner that I had to make one for myself. And I was so happy today when my sweet UPS guy showed up with 3 big boxes filled with Annette Tatum's new fabric line called House! It's so pretty and some of the prints will be great for boys clothes (those ones are handsome, not pretty). Here are some of them. Sweet. And now we're off to IKEA because I have to get another fabric shelf for my store (and some yummy Swedish meatballs with cream sauce!). 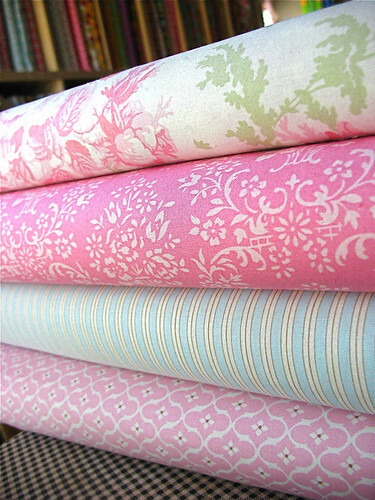 I'm running out of room so all the Flirt fabric and Pop Garden and Bijoux fabrics are on sale. Super fun! Have a great weekend!